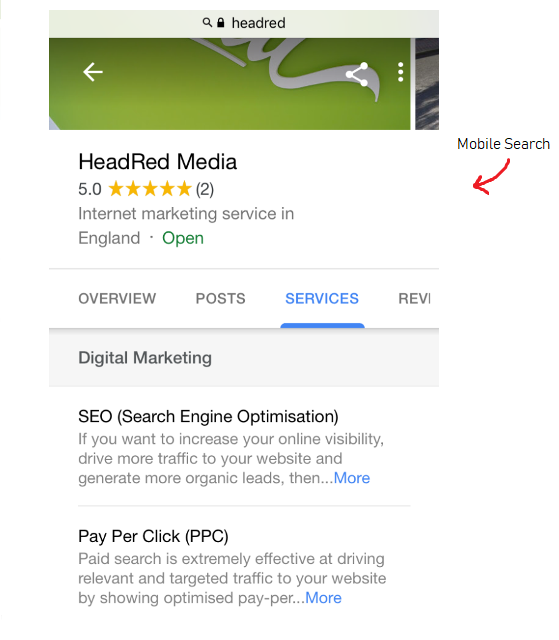 If you’re looking to improve your local rankings on Google, the first thing you need to do is claim your Google My Business (GMB) listing. Why? Because over 3.5 billion searches are made on Google every single day and your business has the opportunity to appear at the top of the organic search results for anyone looking for your services or products! And best of all, it won’t cost you a single penny. A GMB listing is completely free and easy to update. 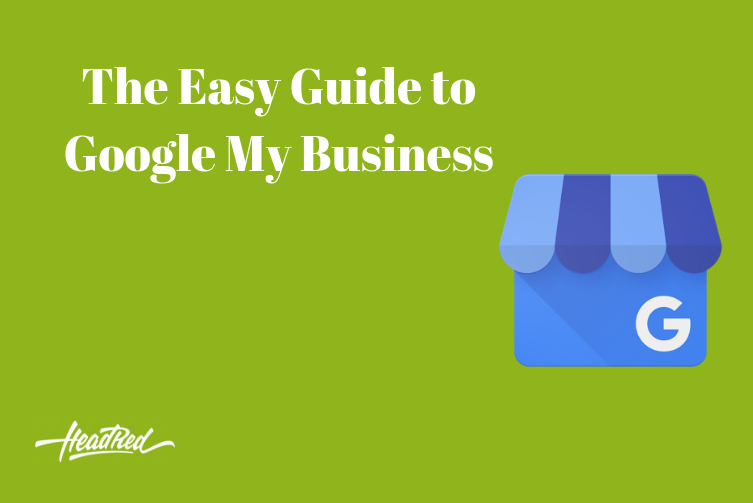 So here we give you the ultimate guide to Google My Business and how to make the most of your local listing. What is a GMB listing & where does is appear? Google My Business is a free listing service that makes it easier for people to find local businesses when making a search on Google. A GMB listing is available to all business (with a few exceptions) and is quick and easy to set up. If your company has been established for a few years, it’s more than likely that a listing already exists for your company and so you just need to claim it. To find out, make a quick search for your business name and follow the steps. 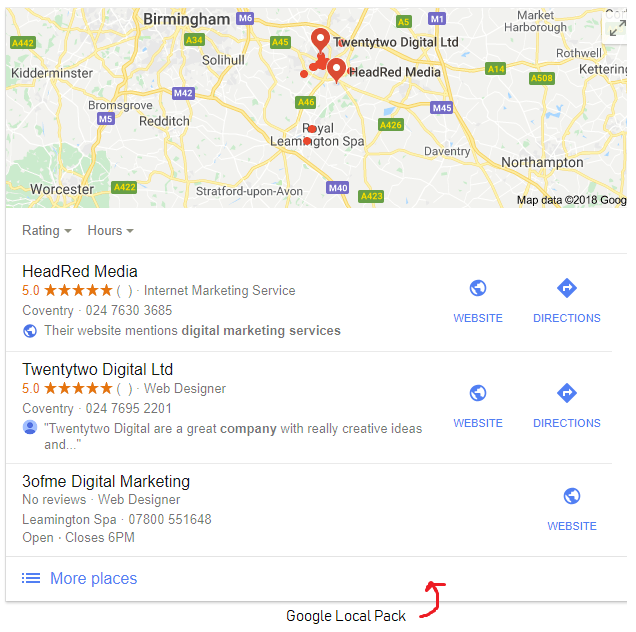 When a user makes a localised search, Google will present them with a relevant local business that appears in the Local Pack, based on the keyword or phrase that was used. So once you have access to your own GMB listing, you can control what information is available about your company, products and services and make your business more relevant. Your GMB listing could appear in the Local Pack, Knowledge Panel and Google Maps sections of a search results page, all of which have prominent position over normal organic results. This top position is even more prominent on mobile where display space is more limited than on desktop. And with the latest stats estimating that 52.2% of all worldwide traffic is generated through mobile phones, there is no better time to make the most of your free listing! Once you have found your listing, you will be required to verify who you are to Google. This is achieved through a unique verification code that can be given over the phone or posted out to your business address. Any updates that you make on your listing will not be published until the verification is completed, so make sure you do this straight away. The “suggest an edit” option that appears on the search engine page is open to anyone, including your competitors, so if you don’t update your listing information someone else could! Once you’re a verified owner you will have control of what edits are published. When you fill out your company information, take the time to ensure that everything is accurate and consistent with the contact details on your official website and other local listings on the web. NAP (name, address, phone number) is critical for local SEO as search engines consider this data when determining which companies to rank for location based searches, so it’s important to get these details correct the first time round. Pick a standard way to write your NAP information and use this for all local citations. Company Name & Logo: Again consistency is key. This should be the same across all online and offline marketing material so that your company is easily identified. Phone Number: If a user is looking at your details from a mobile phone, they can call you directly from the number provided. Use a phone number with a local area code where possible as this will further verify your business’ location. Address: Your location details will link to Google Maps where people can view your exact pin location and get directions to visit you. Ensure that you enter your full address and postcode so Google can consider you for “near me” based searches. Opening Hours: Knowing when a company can be visited or contacted is essential for existing and potential customers. Special hours can also be added to cover bank holidays and the Christmas period. Website URL: Essential to any listing if you want a user to find out more about you and your services. According to Google Research, business listings with a website get 25-35% more clicks. There is also an appointment link available to further encourage enquiries so your profile can have both your homepage URL and key contact page URL. Category: This is important for local rankings so make sure you consider carefully what the best category for your business is. Picking the perfect category will be easier for some industries than others, so if the categories available aren’t ideal to represent your company as a whole, consider what your main keyword targets are. You can choose more than one category, but the primary choice will hold the most authority. Google has continued to build on the GMB platform during 2018 and it now offers a range of features to take advantage of to attract the attention of your potential customers. Posts are a fab feature as they allow you to add fresh content to your listing and encourage users to click through to your website. 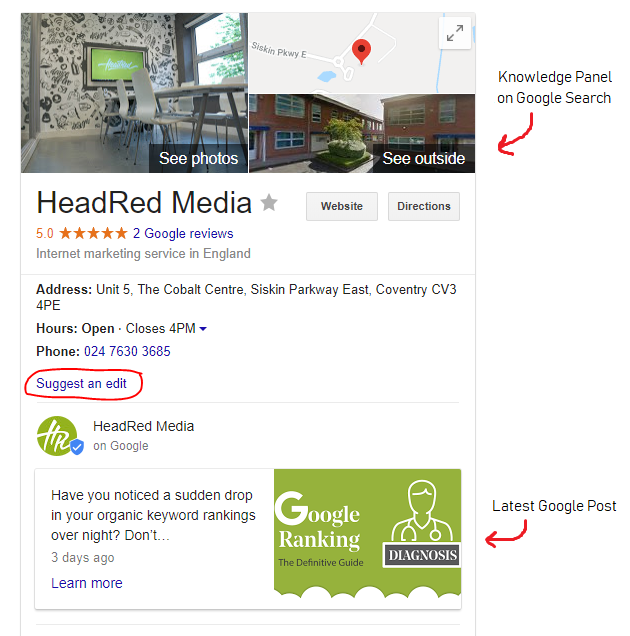 Google posts appear prominently under the business info on the knowledge panel and expire after 7 days, so they offer excellent visibility for promoting key information with a more personal insight. All posts allow for a 100-300 word description accompanied by a photo or video and are linked to a landing page on your website. What’s New: Share your latest blog post or industry news that your customers will be interested in. Event: Give the date, time and details of an upcoming event and increase footfall. Offer: Stand out with an exclusive online offer. This type of post will stay on the knowledge panel until the date of expiry so could reach a much wider audience. Product: Showcase your best selling product or new products on your website. You can choose to add the price of the item too. On both mobile and desktop you can scroll past the most recent post and see previous posts that you uploaded, so your business will have a neat back catalogue of information for your customers to read through once you start posting! Adding photos to your listing is a quick and effective way to show users more about your company and what you do. Shots of your products, projects and your team at work can help build trust and show your business in the best possible light. 30 second videos can also be uploaded to showcase your services further and incorporate promotional material into your business profile, as well as 360 virtual tours to show off your premises in full glory! All media added to your listing should be high quality and a minimum resolution of 720 x 720 pixels is required for images. This is a recent update where owners can write a detailed description that will appear on the knowledge panel on Google mobile and desktop. Here you have 750 characters to tell people what sets you apart from the competition, what you offer, your company’s mission statement and anything else you want people to know about you, so make the most of it! This section was recently expanded to allow businesses to add custom service categories to their listings. Here you can write informative descriptions about your key services complete with prices. This information can be seen by a user on mobile if they scroll through your listing but it cannot be seen on the desktop knowledge panel at the moment. Think about your keyword targeting here and provide lots of information about what your target audience will be searching for. We’ve said it before – Google Reviews matter more than ever in 2018 and so it should be considered highly in your local SEO strategy. Every business listing on Google comes with a star rating which is highly visible to potential customers. When faced with a lot of options, this rating could have a huge influence on a user and affect click through rate to your website. After all, a 5* rating is much more appealing than a listing with a 1* or no star rating! Google Reviews are also an influencing factor for local ranking positions. Google is looking to provide the best answer to every search and so a high customer review rating could greatly help your chances of being at the top of the search results. Through your Google My Business login you can manage and reply to your latest Google Reviews and build up your brand reputation online. It’s also really easy to create a shortlink to your listing that you can share with customers to encourage them to write reviews and rate your service. But it’s not just Google reviews that show up on your knowledge panel. Google also integrates ratings from third party sites like FeeFo and Facebook, so these are visible on here too. Give the HeadRed team a call today on 024 7630 3685 or drop us a message.